So, this might be a bit of a back lash on my part after being inundated over the past 24 months with classes being offered to real estate professionals that tout success through blogging and other social media magic. If your 2012 business plan has blogging, or starting a blog as its primary method of prospecting you might as well go get an hourly wage job now. Don’t get me wrong….blogging has its place, but a well maintained and promoted blog has got to be wrapped in other proactive prospecting methods in order to be successful. While I’ll acknowledge that there are some real estate professionals that have found some success in blogging I would submit that there are just as many if not more who have gotten lost behind their computers and forgotten that real estate is a contact sport. 1) Ensure your blog is set up on a platform that is quick and easy to use, don’t reinvent the wheel, use an existing blogging platform. 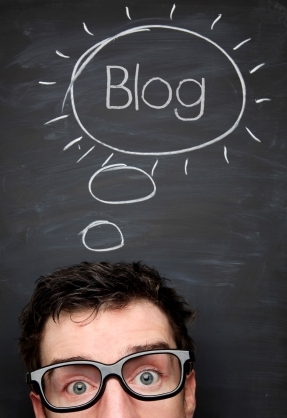 2) Ensure your blog is hosted in such a way that it will be found by search engines. 3) Just like a webpage, focus on and use the keywords your user will be searching for. Use any SEO functions your blog host may offer for each post. 4) Stay on topic and focus on what you know, which is typically real estate and what is happening in your area. 5) Be hyperlocal with your information. There are many other places to get the news…you want to provide information that is meaningful and useful to the few. You can provide information that the big guys can’t which is what is happening at the street level of a community. 6) Implant Google Analytics or other tracking tools so that you can see a cause and affect with your marketing efforts. 7) Get a standalone URL for your blog, try to include key words in the URL. 8) At the beginning post twice a week. As time goes by and your library of information builds, blog weekly. 9) Start a blog topic file to help you get unstuck when you do get stuck. 10) Consider co-blogging with someone else to share the responsibilities. 11) Put your blog address on all printed material, link it to other web resources and social media, talk it up at your open houses and at other point of contact situations. 12) As you write remember your readers come in all flavors, Visual, Kinesthetic, Audio and come from all backgrounds. Mix statistics with human interest content. Use graphics to break up the sea of print. Keep your posts to several paragraphs and if you have a long or complicated topic consider breaking it up into bite sized pieces over multiple posts. Consistency, many contacts over a long period of time, mixed methods of communication and information with value are all key to a professional relationship that will generate more business for you. PS Istock photo is a good place to get graphics and pictures that you can use on your blog without fear of copy write challenges.